David Maurice Sharp’s choreography has been performed at such venues as La MaMa ETC, Lincoln Center, Soho Rep, Movement Research and New Haven Artists Theatre. His video work, SHADOW DANCE, received a Silver Award from the Dance on Camera Festival. A former modern dancer, Sharp worked for Lucinda Childs, Blondell Cummings, Sean Curran, Mimi Garrard, Rachel Lampert, Heidi Latsky, Lonne Moretton, and Anna Sokolow, among others. 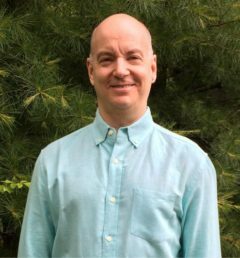 David is the author of The Thriving Artist: Saving and Investing for Performers, Artists, and the Stage & Film Industries, a contributing author to A Life in Dance: A Practical Guide, and a regular columnist for MoneyInc.com. David holds a BFA from NYU’s Tisch School of the Arts.